We've all known the feeling of returning from vacations with an overflowing suitcase. Though at first it may seem like a real hassle, coming back with way more than you came with is actually great cause you can share all those material and less tangible memories with your friends and family back home. Each place has its own tradition, way of life, smells and flavors, and if they stick to your mind long lasting memories are made. However, since trifles and gimmicky souvenirs don't actually do the trick we've decided to single out for you hand-made souvenirs you can find in Croatia. In a way, with them you bring little pieces of Croatia back home as remainders of the moments which made your summer vacation special. Pag lace – is a hand-made lace typical for Pag Island. Throughout the history it adorned the clothes of European nobility. If you visit Pag Island you're probably stumble upon local women doing the meticulous work of producing the lace and promoting this old craft typical for the island. Dried fig jam – is a real delicacy produced all along the coast. This globally recognized Dalmatian product is made from sun-dried figs, with the occasional addition of oranges, chocolate or walnuts. It's a great dessert, but paired with cheese or dry-cured ham it becomes an unparalleled treat for your palate. Lavander – due to it climate and soil Hvar Island is one of the greatest producers of lavender. During the lavender blooming period the island is literally covered with its purplish fields – and believe us it's a stunning sight! Along the coast you can buy all types of products made from this aromatic plant. The most popular product are little bags of dried lavender you can put in your closet for freshness and pleasant scent. Moreover, due to its healing properties lavender is used in various aromatherapeutic concoctions. Olive oil – both Dalmatia and Istria are globally recognized producers of good olive oil. Made form indigenous local sorts, olive oil truly encompasses both tradition and flavors of south Croatia. If you take a bottle of this oil back home its flavor and scent will bring back your summer memories for sure. Wine – Croatia has an ancient history of wine production. The north is more popular for white sorts, whereas the south boasts thick red wines. The most famous indigenous grape varieties are Malvazija and Plavac Mali so be sure to get yourself a bottle of these for some ''tipsy'' summer recollections back home. 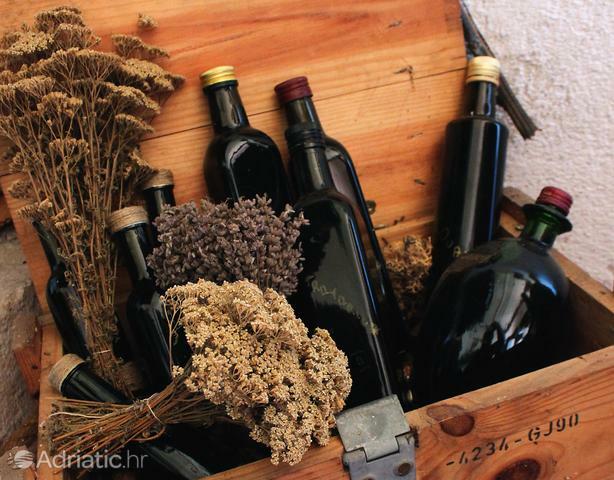 Rakija – is a really strong alcoholic drink made from different herbs and fruits. It will probably be the first thing you'll be offered with once you come to Croatia so you'll get to know all ''rakija charms'' pretty soon. Not to reveal too much let's just say you'll probably fall in love with it and do everything it takes to find some extra space in your suitcase for a bottle or two.